This is a die-cut Midwest Ice Cream porcelain sign. This particular Midwest Ice Cream sign is predominantly blue and yellow. 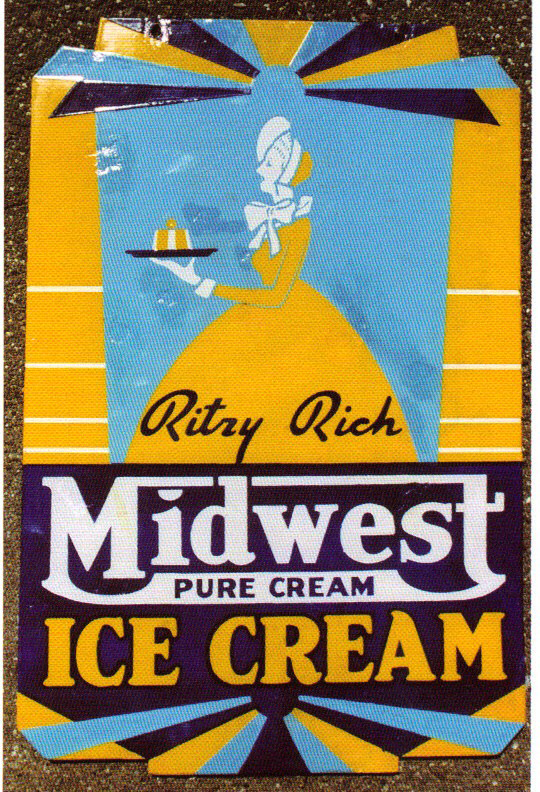 It reads, “Ritzy Rich, Midwest Pure Cream Ice Cream” and features a woman wearing a yellow dress and carrying a tray of ice cream.